Chinny Francis, an international student from Nigeria, is a graduate student and an international student ambassador. 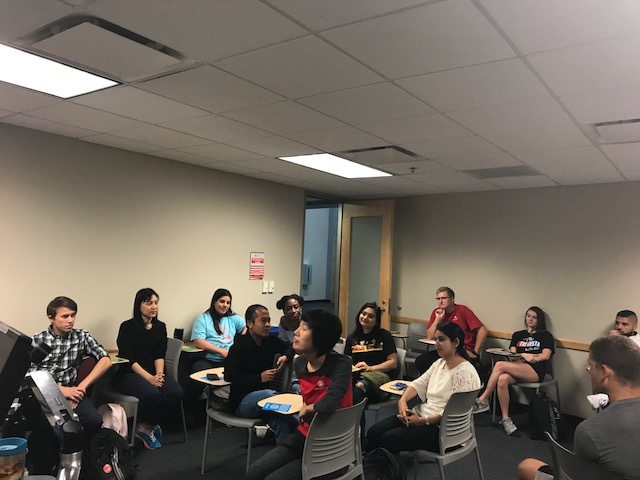 She shares her personal experience and cultural background with other ISU students. 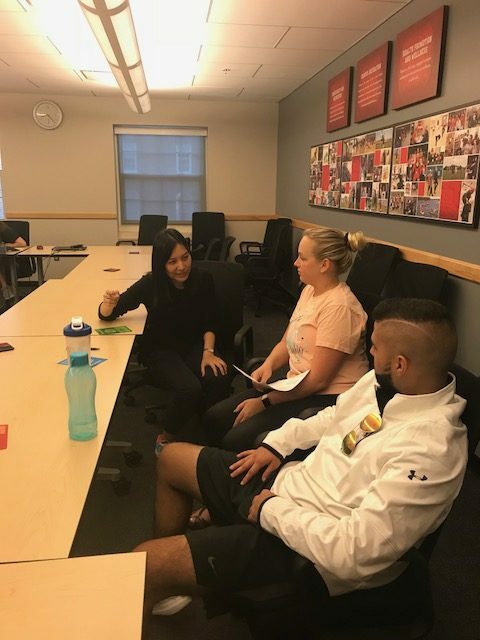 On Thursday, September 20, alongside other international students from different countries, she spoke with students from the KNR351 Tourism class. I knew ISU was going to be a great experience. 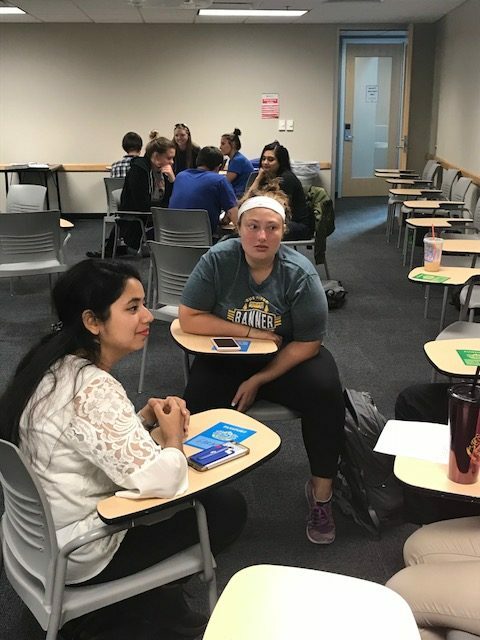 From the application process, my interactions with the professors were very helpful, and that is something that stands ISU out. The professors want to see you succeed. 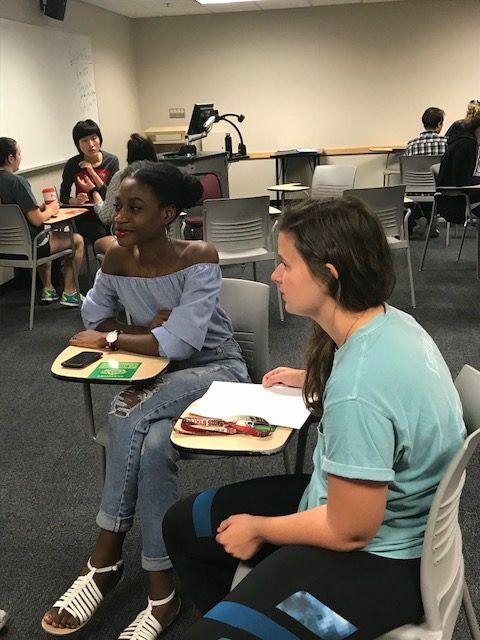 When I came across the opportunity to become an international student ambassador, I was happy that I could talk about my home country and signed up immediately. A unique difference I recall is when I was talking with Ana from Venezuela. I had asked her what work is like such as hours, and I said in the U.S. the norm is to work from 8 a.m.- 5 p.m. But, in Venezuela it is 8 a.m.-6 p.m. with a two-hour break for lunch. She went on to say that for lunch, it would be what’s like a dinner here, which is usually the biggest meal. I also saw a unique similarity as well between the respondents where I would ask what their favorite show was and all of them said “Friends.” It is funny to me since it is such a popular show here that it even made its way over to their countries. I learned from the two ladies from South Asia who told me about arranged marriages. They also told me that if given the option to freely date, they would still choose the arranged marriage option, which involves family members pairing potential partners. I also spoke to someone from Northern China who explained that women in her country were perceived as more masculine compared to women from the other parts of China. She also shared how important education was in China. She stated that she didn’t have much of a life outside of her studies here because she believes education is first. In her home country, more value is placed on education than on marriage. The culture is very different here. I love that we have the option to date freely and get to experience different people because I find myself learning about the ways different people think. So, I can discover “my type” of spouse or who I know I am easily attracted to. I love that we have the right to leave the relationship if we wish. I also think that the people from Northern China’s high value on education is important as we all should take education very seriously. However, I disagree with putting it first and disregarding wanting to have a life outside of studies or having a family. The thing that I learned the most from our 351 class was just the differences in cultural norms. For example, we learned that in Russia they don’t eat a lot of candy. I spoke with a Russian who upon coming to the United States, learned of the candy reeses peanut butter cups for the first time. Then, the Nigerian in my groups asked Americans danced a lot and in my opinion, we don’t. She explained that large parties and celebrations make up a big part of the Nigerian culture and she even taught us some dance moves! Finally, Saraf informed us that American gestures, such as “bless you” after sneezing is not a verbal response in her country. We found this extremely interesting because we do it as a gesture out of respect in our country. KNR 351 Tourism and Special Events explores why people travel as well as the impacts of travel. The course is an introduction to commercial tourism and special events. 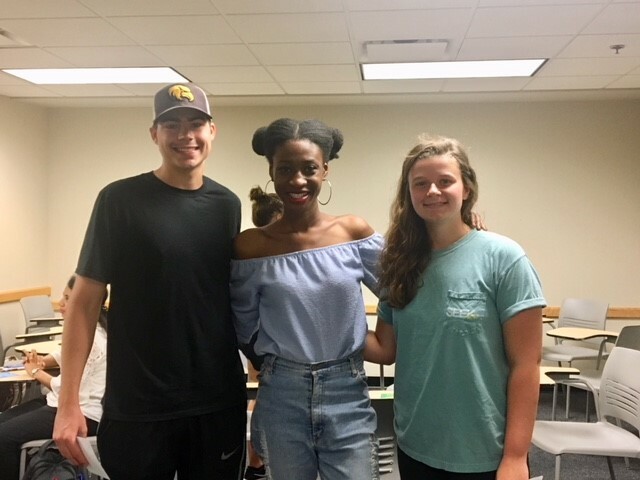 Students explore how they as recreation professionals, encourage people to understand, advocate for and sustain cultures and travel locations. There is no better way to gain authentic knowledge about a location than interacting with the people that live there. My goal was to encourage conversations among the KNR and international students to assist in developing cultural sensitivity and understanding the human aspects of the tourism industry. Since I can’t take my students to 8 countries in one day I am so thankful that we have a growing international student group that is willing to share their time and their experiences. Excellent insight because being an international student away from home is difficult, compounded by our complex culture and language problems. Welcoming and assimilation assistance must come from numerous sources, including the White House, to aid these young people embarking on life’s journey. Most struggle in their efforts and need guidance from schools’ international departments, immigration protection, host families, concerned neighbors and fellow students, and even informative books to extend a cultural helping hand.